This is a very creative video that Bluefish TV put together as part of one of their video Bible studies. If you like the video and want to use it for your next parent meeting, you can download an HD copy for free through today here. Enjoy! 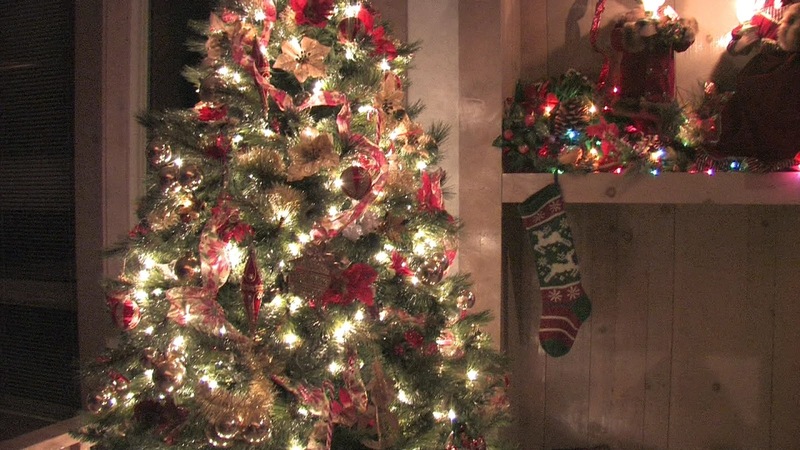 In our tiny brick house, there are a few signs that Christmas is around the corner. Some stockings are hung by the window (the fireplace in our 1929 house was closed into the wall an unknown number of decades ago for some unknown reason). A small artificial tree is decorated in the corner of our front room and is sporting multi-colored hand-me-down lights. On our kitchen table sets a gaudy train-shaped music box that opens to reveal Santa watching a toy train run in circles, curiously to the tune of “God Rest Ye Merry Gentlemen.” Let’s just say we aren’t going to be entering any Christmas decoration contests anytime soon. We don’t “do” Santa. Without going too deep into the issue here, the biggest reason we don’t “do” Santa is because we don’t want to set our kids up for what essentially amounts to an elaborate hoax. Now, we do “pretend” in some respects, such as pretending the stockings are from Santa (this is new this year at the encouragement of my lovely wife). As the kids get older, we’ll also teach them the legend of Saint Nicholas. (For a great view on how to “redeem” Santa, check out Mark Driscoll’s 2010 Washington Post article on “What We Tell Our Kids About Santa” here). We make the message of Christmas as simple as possible. Our kids are three and four this year. With all the nativity scenes, innkeepers, and talk about Jesus’ birthday, I’d imagine that it would be difficult for small kids to grasp the central message of Jesus. (Don’t even bring up the Wise Men. They’re not supposed to even arrive on the scene until Epiphany.) So, at least once a day, I tell my kids why we celebrate Christmas: we are celebrating when Jesus came to Earth to rescue us. We don’t go overboard on presents. This one is hard to do when you’re a dad who loves his kids. We don’t really have a line (other than our budget we set for ourselves), but to put it simply, we don’t go nuts or go into debt to get great presents for our kids. In fact, we’ve spent less on gifts every Christmas since we’ve been married, Giving gifts and being generous to your kids is a good sign of love and affection that does reflect the giving nature of our Heavenly Father. But it does our kids more harm than good to teach them that they will always get just about every item on their wish list. We try to create traditions that have to do with Jesus. One of my favorite things we do as a family on December 23rd (when our family celebrates Christmas Eve wince I am at church on the 24th) is to watch the Charlie Brown Christmas Special, drink hot chocolate, and read the biblical account of Jesus’ birth. I think we could do a bit more in this area, but we’d rather our kids get excited about traditions that have to do with Jesus than love the season just because they’re going to get presents. QUESTION: What are some fun traditions that have helped you to make much of Jesus in your family during the Christmas season? 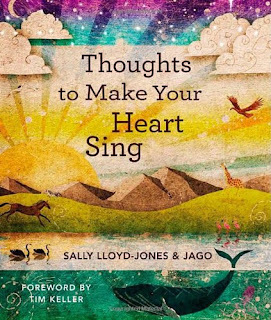 We’ve had a copy of Thoughts to Make Your Heart Sing by Sally Lloyd-Jones and Jago at our house for a couple of weeks. The art, just like in Jesus Storybook Bible is amazing, and it’s already sparked a couple of great conversations with my four-year-old. It’s set up as kind of a devotional book, with only one “thought” meant to be read per day. 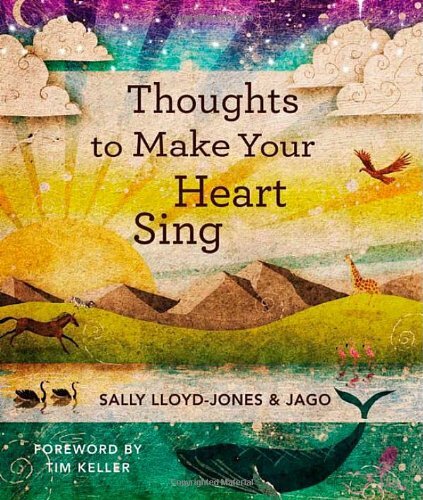 If you’re looking for a meaningful gift for your kids or a family, I highly recommend Thoughts to Make Your Heart Sing. Every morning when my two girls wake up, they have some milk. Since I am the parent that usually is awake first, I am the one who dispenses the milk each morning. Most of the time, I wait until there is a polite request for the milk before I give them the milk. This polite request can take many forms; I am not a stickler for a particular phrase. I am even willing to waive the requirement for a “please” so early in the morning. After all, they are still waking up. And besides, I know (and so do they) the difference between a sincere, polite request and a demand, no matter what words are being used. It is not that there is a shortage of milk in our house that I must require a polite request, as though I must use such a tactic to ration the blessing of milk. Their mother keeps a sufficient (and often abundant, courtesy of Costco) supply of milk in the refrigerator. In fact, we almost always have two varieties of milk: cow’s milk and soy milk, because the younger of the two cannot have too much dairy in her diet. But still, despite our abundance of milk, I do require a polite request from my girls before they get their milk. I do, however, fully anticipate their request, and I might even have full cups already prepared before they even ask, because I know my girls, and I want to bless them. I know they like milk in the morning, and I know it is good for them. There are times when they do not desire milk, but instead request a different beverage. Wanting to bless my beautiful girls, I consider such requests carefully. Sometimes the answer is “sure, honey” and they delight in another drink of choice, such as lemonade or juice. But there are also times when I know what their taste buds would find delightful is not what their bodies would find the most nourishing. So, wanting to bless my girls, I give them milk, and I listen to their protests with patience. I know they do not see my perspective on the situation, that I am simply doing what is best for them, even if it is not what they would have chosen. And then there are times when they desire milk, but do not get any. This can be especially confusing to them, because their parents have told them for as long as they can remember that milk is good for them, and rarely is a request for milk denied. But perhaps they are sick, and their delicate stomachs would not be very happy with milk at the moment. Or maybe I know that they will not eat a good dinner if I allow them to drink their fill of milk in the afternoon. As much of a blessing milk is, there are times when it is best to abstain, and wanting to bless my girls, I make the right choice for them, even when they are not able to. And so, you see, there are times when my girls receive milk, and times when they do not. Sometimes their desires line up with what they receive, and sometimes they do not. But in all situations, my desire is to bless my girls, and in all situations, they would not receive milk were it not given to them. Such it is with God. And while all analogies break down at some point, I can safely say that being a father–and living analogies such as this one–has helped me greatly in my journey to be a child. Loved this video from the D6 Conference (which I would love to attend sometime; if you went this year, I’d love to hear about your experience). It’s hilarious, but sad, too–there’s a lot of truth in it. A not-so-uncommon conversation I have with parents has to do with the fact that a teenager they have raised “in the church” no longer seems to believe in God, or at least in God as the Bible describes him. I must admit, as someone who was not raised “in the church” (unless you count Christmas and Easter), I’ve had some trouble empathizing with parents. The first thought that often comes to mind is Well, I didn’t want anything to do with God when I was 16, either. In most cases, that’s not pastorally helpful, so I don’t usually lead with that. Hopefully, I’ve been more helpful than not in those situations, but that’s another post for another day. I am a stay-at-home mother of four who has tried to raise my family under the same strong Christian values that I grew up with. Therefore I was shocked when my oldest daughter, “Emily,” suddenly announced she had “given up believing in God” and decided to “come out” as an atheist. She said she was “happy” in her decision and that it just “felt right.” She no longer wishes to attend church, speak to the pastor or even participate in family prayers. I love my daughter dearly, but I am troubled by this turn of events. She has never seriously misbehaved or otherwise given me cause to worry before this. Emily insists she is old enough to make up her own mind, but I simply do not think a girl of 16 has the maturity to make such a life-changing decision. You can check out the rest of the post to see what the advice columnist had to say about the situation, but what I’m interested in is this: What would you say to this mom? How should she proceed? What would be good for her to know? It’s been a while since I’ve put up any book reviews, so I thought I’d jump back into practice with a couple of books I’ve enjoyed in the past few months. Honestly, I’m usually very skeptical of any kind of devotional book aimed at teenagers. Most of the ones that I’ve picked up over the past decade feel like they were written by someone who believes that the only way to get a teenager to read a book is to use lots of outdated slang that teenagers maybe used ten years ago and put a picture of a teenager doing something radically cool on the cover–you know, like those boards on wheels so many of them are riding these days. Many are watered down at best and very few actually make much of Jesus, other than to paint him as a cool guy with a rebellious streak. I’m grateful to my friend Andy Blanks for putting together a devotional for new followers of Jesus that simply directs teenagers who are young in their faith to the Bible and to consider what it means to follow Jesus. My favorite part of this book is that at the start, Andy includes some basic practices new Christ followers can use to rightly dive into Scripture and allow it to breathe life into them. I’m a fan of anything that points students to Jesus and his Word. I’m not sure if or how we’ll incorporate the devotional into our ministry but it’s a good tool that I’m sure we’ll put to use sooner rather than later. Full disclosure: I was provided a free copy of this book from the publisher. I was not expected to give a favorable review–or any review, for that matter–in return for the book. So, this review’s pretty unbiased, even though I’m a big fan of YM360 and their stuff. My wife Jennifer actually got this book for me (us?) for Valentine’s Day this year. We both read through it over a few weeks, and we’ve discussed it off and on ever since. 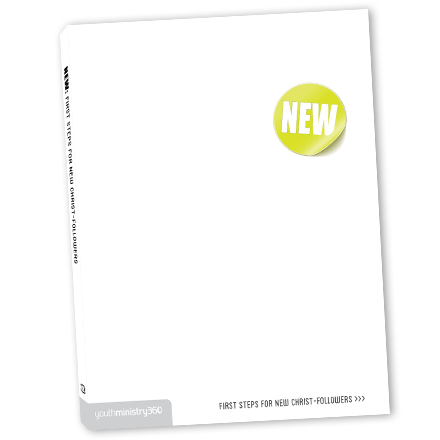 Overall, this is an amazing tool for married couples who are committed to Jesus, especially those who are in ministry. Chapter 2 (“Friends With Benefits”) is worth the price of the book alone, and has helped me (I hope) be a better friend to Jennifer. 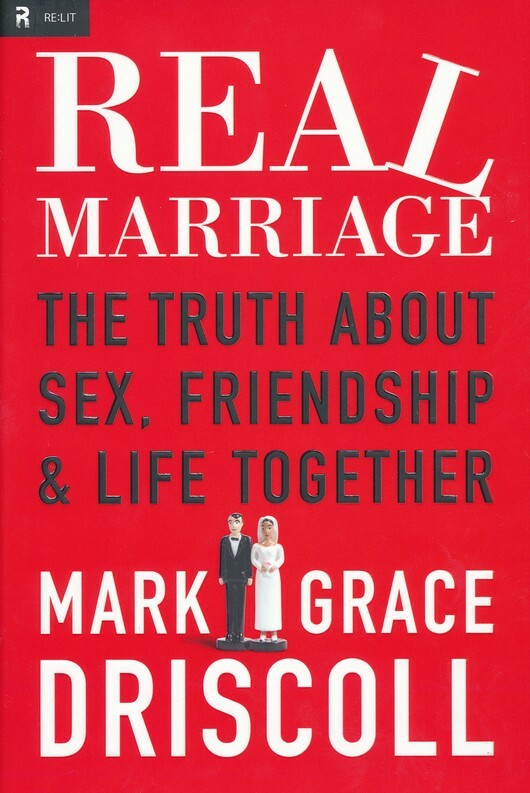 The biggest “pro” of this book is that Mark and Grace are very, very frank about their thoughts and their own experiences, including sexuality in marriage. While I really enjoyed the book, Mark’s tone (it’s very obvious which pages he penned because of this) grated against Jennifer in some places. It certainly didn’t make her dislike the book, but it’s a good caution for those who might consider giving it as a gift to a married (or premarital) couple that it might not be for everyone. 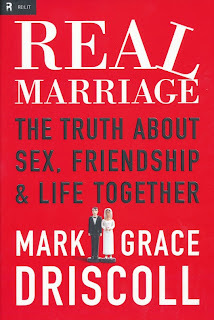 However, I found it very helpful, both as a husband and as a pastor who counsels people struggling in their marriages.